My friends and I often share tips on how we save money, and praise one another for getting good deals on everything from happy hour specials and dinners, to clothing and rental cars. Of course, some deals aren’t hard to find – they’re just simple ways to save every day. Certainly, the money you save on your home energy bill may not be something you brag about over brunch with friends, but it still puts money back in your pocket. 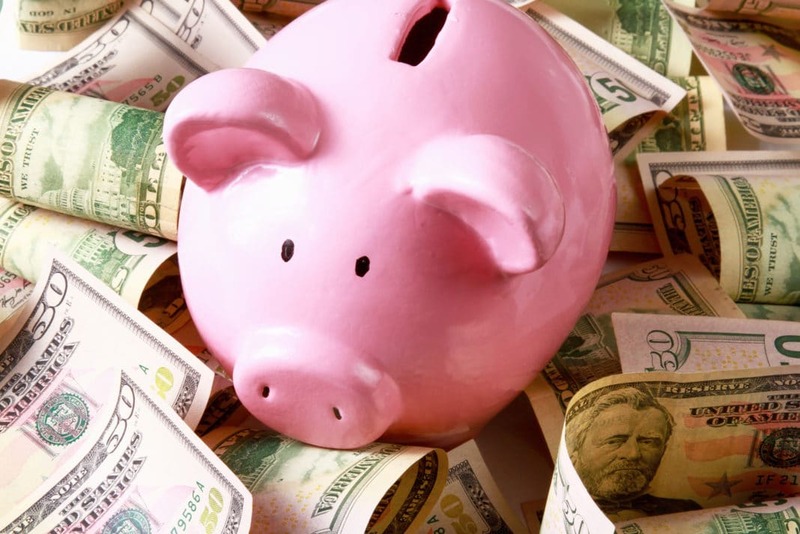 To get started saving on all your day-to-day costs, take a look at this checklist of 31 money-saving suggestions – one for every day of the month. While you’re at work, program your thermostat to either turn off completely or adjust to a warmer or cooler temperature, depending on the time of year. Some thermostats can be controlled remotely, so even if you forget to program your desired temperature before you leave the house, you can adjust it using an app with the touch of a button. 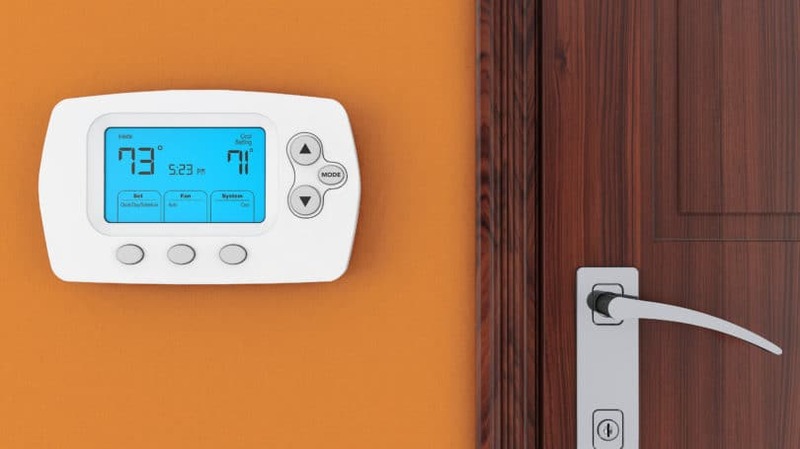 According to Fixr, the average cost for a programmable thermostat is $200 to $300, and professional installation is required, which ranges from $300 to $350, per Homewyse. The average savings per year vary, as you control the adjustments you make, but savings in winter and summer could easily exceed $1,000 if you use your thermostat wisely. For example, when you leave the house in the summer, instead of setting the thermostat at 70 degrees so you can come home to a cool house, you can set it at 80 degrees and program your A/C to cool the house down starting at 5pm, right before you get home from work. Instead of heating or cooling an empty house all day, your thermostat only runs when someone’s home. If you’re not sure where to start when shopping for thermostats, start with a Nest Learning Thermostat. It will adjust it’s settings based on your habits. This helps maximize your energy costs. If you need it installed, Handy.com will help you find a qualified electrician in your area. I have hired several contractors and had a great experience each time. Although couponing can be a great strategy to save money, be certain you’re not overspending on unnecessary items just because you may be able to save a few dollars. For example, if you use a coupon to purchase a bulk pack of deodorant that’s a brand you’ve never tried, you may be stuck with a product that’s going to go to waste if you don’t like it. Clip coupons only for items that you consume on a regular basis. With the average face value of coupons around $1.56 according to Inmar, your weekly and monthly savings could add up quickly if you coupon frequently. For help finding deals at your favorite local stores, restaurants, and gas stations, check out The Coupons App, and for saving printed coupons to your phone, check out SnipSnap. And Target shoppers may want to check out Cartwheel, an app that lets you scan the barcodes of items that you want to be notified of when discounts or special offers are available. Seriously, slow down. The next time you have somewhere to be at a specific time, set your alarm for 15 minutes earlier than you would ordinarily. Not only do you stand to save money by driving the speed limit, you might also save your life – or someone else’s. In addition to the cost of the speeding ticket, which can be $250 or more in some states, you also have to worry about your insurance rates going up. Depending on your car insurance plan and how many other tickets you’ve gotten, you could get flagged as a “reckless” or “unsafe” driver and end up with higher monthly premiums for years to come. If you’ve been a loyal customer over the years, your credit card company may be willing to lower your interest rates. There’s no official process for requesting a lower rate – just call up and ask what can be done. If you’ve paid on time over the years, or if you threaten to transfer your balance over to another credit card company, your current issuer may be quick to work with you. If they are unwilling to budge on the rate, consider a new low APR credit card instead. Are you paying for unlimited data when you really don’t need it? Conversely, are you running over on your plan, resulting in fees or gigabytes that are higher-priced than if you purchased them at the beginning of the month? For many families, text messages are one area where overspending frequently happens, especially when you share your plan with a spouse or child and everyone’s texting habits vary from month-to-month. If your plan is with AT&T, you can add unlimited texting to a family plan for $30 a month, or to an individual plan for $20 a month. If your carrier is Verizon, then you can get a 500-text-per-month bundle for $10 per month, per line, or a $5,000 text bundle for $20 per month, per line. Both packages include unlimited texting to any Verizon number. Alternatively, you could look at switching your cell phone provider altogether. Mint Mobile has plans starting at just $15 per month and you can even use your current phone. No need to purchase a brand new phone. Whenever you go grocery shopping, don’t just throw a bunch of random items you like into your cart. 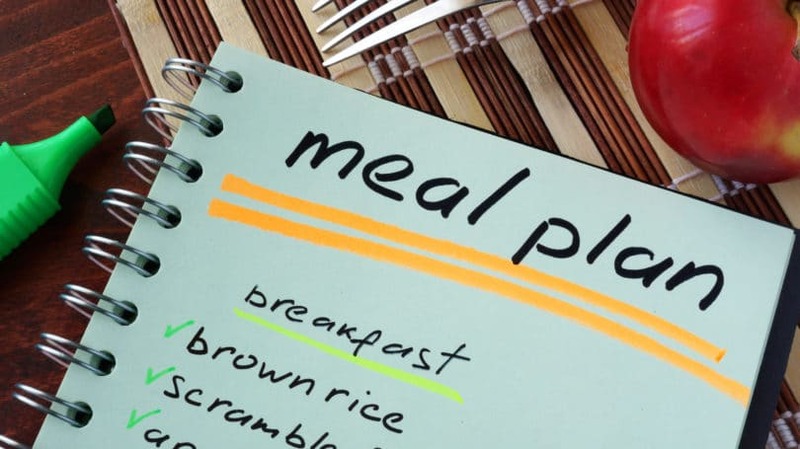 Instead, carefully plan your dinners for the week, and make a list. For help with affordable meal planning that includes a detailed list of necessary ingredients and instructions for preparation, check out the Budget Dinners app. If you’re in a rush, the ingredients listed on the app can function as your list. Without a list, you could forget a key ingredient for a dish, and then you may find yourself calling and ordering a pizza or expensive take-out rather than eating at home. If you don’t have time to swing by the grocery store, check out the app Supercook that allows you to type in which ingredients you have on hand and be matched with recipes that are perfect for what’s already in your pantry. Not only do meals prepared at home cost less, they often have less fat and fewer calories than the dishes available at restaurants. Don’t forget about meal delivery services like HelloFresh. You can have all the ingredients shipped to your door. If you’re like me, you typically don’t have much time in the mornings to make lunch – especially if you hit the snooze button a few times or have kids to get ready. Instead of making lunch prep a harried part of your morning rush, prepare a brown bag lunch at night and place it in the refrigerator until the next day. Not only does this save valuable time, it may also prevent you from eating out for lunch quite as frequently. Do you still pay for cable every month? If you haven’t already cut the cord, it’s time. You can get a Roku or Apple TV for an upfront cost of between $25 and $70, depending on the model you choose. These devices can be used to stream countless movies and TV shows from various providers such as Netflix ($7.99 per month), Hulu (as low as $8 per month), and Amazon Instant (movies and TV shows are charged a la carte, but for $99 per year an Amazon Prime membership includes access to a lot of content). If you like renting new release movies on demand, check out a Redbox vending machine near you instead. Rentals are $1 per night, and many Walgreens pharmacies and McDonalds have machines available. Redbox machines may also offer video games – check out the location nearest you to find out what’s on offer. If you prefer live TV or still want a way to access the nightly news, there are plenty of ways to do it without installing cumbersome “bunny ears” on top of your TV set. Many slim-profile indoor antennas allow you to pick up all local news and TV stations, and range in price from $10 to $150, depending on range. The only thing to watch out for is the impact your geographical area may have on reception. If you live in a city surrounded by tall towers or in a valley with mountains on all sides, chances are your reception may be lacking. Another option for keeping your favorite cable channels is Sling TV. Prices start at just $20 per month and you can get many of the same channels you get with high priced cable companies. How often are you really going to the gym every month? If you’re there at least twice a week, then you’re probably getting your money’s worth. However, if you only attend sporadically, you can get the same workout in by jogging around the neighborhood, riding a bike, or doing a workout video from the comfort of your living room. It’s important to stay healthy and active, but you don’t have to overextend your personal budget to make it happen. You may be able to stay fit while also making friends with people in your neighborhood by checking out running clubs or other groups that meet up during the week for exercise. Check out Facebook or Craigslist to find meet-ups in your area. Some of the more popular groups usually include running, tennis, softball, walking, or aerobics. You could also look into fitness apps like Aaptiv. Members have access to over 2,500 different fitness classes with prices starting at just under $9 per month. If you have an older house, your windows may have lost their seal over time, and air could be escaping through hidden gaps and cracks. How much of your air-conditioned air is escaping during the summer, and how much of your heated air is escaping during the winter? Certainly, the initial outlay of cash to replace the windows isn’t be a fun expense – according to HouseLogic, estimates weigh in at $120 to $800 per installed window – you stand to save thousands of dollars on your energy bills. For example, when you install ENERGY STAR-qualified doors and windows, you stand to save as much as $465 per year on heating and cooling costs. No, it’s not a good idea to get rid of your car insurance, but it is a good idea to increase your deductibles if you’re a safe driver. For example, you may be paying $100 per month for car insurance, but you have a $250 deductible to pay in the event of an accident. If you were to increase your deductible to $1,000, you might be able to bring your monthly payments down to $60 or $70 per month. If you aren’t certain what your deductible is, call your insurance provider and ask, and find out how you can reduce your monthly burden. It might also be worth the time to shop around and see if there are car insurance companies that have lower monthly premiums. I recently switched to Liberty Mutual and saved a nice amount every six months. If you have soap, a bucket, and some old rags, there’s no reason you can’t wash your car yourself. Yes, going through a car wash may be quicker and easier, but a good wash and wax can be expensive, and mechanical car washes often miss hard-to-get dirty spots that a hand wash could fix in no time. A thorough car wash and wax, plus interior detailing, can cost up to $200, so those savings can add up very quickly. If you’re just looking for a trim, there’s no reason your spouse, parent, or friend can’t give you a quick cut. People with short hair can get thousands of hair cuts out of a decent set of $20 clippers, and those with long hair or those who don’t want to use clippers can enjoy countless cuts with a pair of scissors. If you’re looking for a designer cut with layers, precisely shaved sides, or intricate bangs, a quickie haircut might not be right for you – but for all the in-between trims, there’s absolutely no need to head to a salon. With salon cuts ranging in price from $20 to $200 at some salons, the savings over the course of a year certainly add up. Do you wear undershirts under your dress shirts? How about hanging your dress pants up after each wearing? There are many steps you can take to ensure your clothes stay looking (and smelling) nice for several uses. Not only do you save money on dry cleaning by getting multiple days out of your clothing, you also reduce wear and tear on your clothing that comes from repeated cleanings, keeping your wardrobe looking nice for longer. The money you save on dry cleaning bills and detergent may be almost as exciting as the fact that your dark colors look sharp long after they would have ordinarily faded. How many times have you been just a few hours late on a credit card payment and kissed $40 goodbye? Even if you stay on top of your bills most of the time, even just three late payments a year can cost more than $100 – and that’s money your budget likely needs elsewhere. If the immediate hit of late fees isn’t enough of a deterrent for you, then consider your credit score. If you’re frequently late on payments or later than 90 days on any one payment, your credit score takes a hit. Negative reports can damage your credit for up to seven years and can make it more difficult to buy a home or purchase a car. Don’t let your missed payments cost you a meaningful investment later in life. Take a look at the average portion size that some restaurants serve as entrees. When paired with an appetizer, it’s often impossible for me to finish what I ordered, and leftovers don’t always get eaten, even when I have the best of intentions. 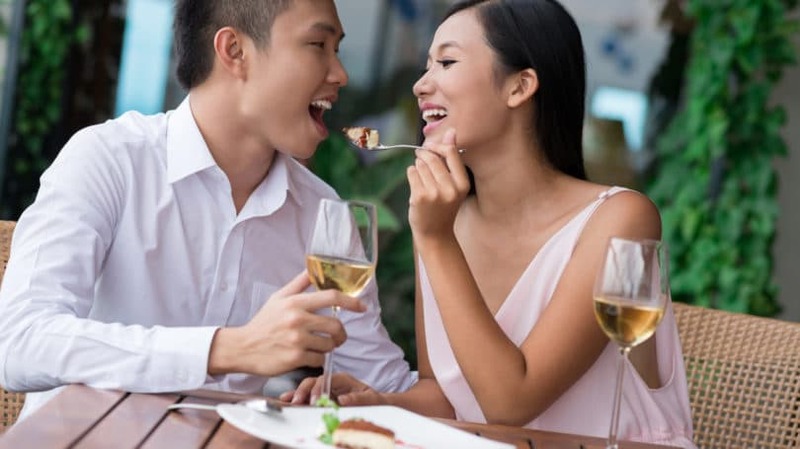 It’s no secret that our society is overweight, so why not help your body and your wallet the next time you’re out by sharing a meal with your companion? The concession stand calls to even the most diet-conscious of us. The smell of hot buttered popcorn and the colorful boxes of candy are sometimes too tempting to pass up. However, not only is movie theater food unhealthy, it’s also incredibly expensive. The next time you’re headed to the theater, eat a filling meal before show time, and you’re more likely to pass the concession stand without dropping $30 on sugar and fat. Before you buy a warrantied item like an iPhone, a TV, or an Xbox, check your wallet. Your credit card may offer an extension of the manufacturer’s warranty on items you purchase with the card. All American Express cards offer extended warranties of up to one additional year on warranties of five years or less, and MasterCard offers the same extension to its Platinum, Gold, and World cardmembers. Just remember to keep both your store receipt and the warranty when you shop with your card. Also, note that no warranty protects you against a lost item, so if your concern is losing a valuable item or having it stolen, then an insurance policy is the way to go. Does your checking account charge maintenance and annual fees? If so, it’s time to make a switch. Banks including Capital One, Ally Bank, and Charles Schwab are online-only and offer completely free checking accounts, regardless of monthly balance carried or direct deposit activity. Other banks including Chase, Bank of America, Wells Fargo, and Citibank have physical branches and offer free checking as long as you have a monthly direct deposit of at least $1,500. There’s no reason you should be paying maintenance and annual fees for a checking account. There’s no need to pay full retail price on your electronics or other items, such as cables and charging devices. Rather than snapping these items up at big box electronic stores or Amazon, check out TigerDirect, Rakuten.com, or Newegg. These sites are always running deals for computer accessories and other electronics. Also, check out a deal aggregator, such as Ben’s Bargains. 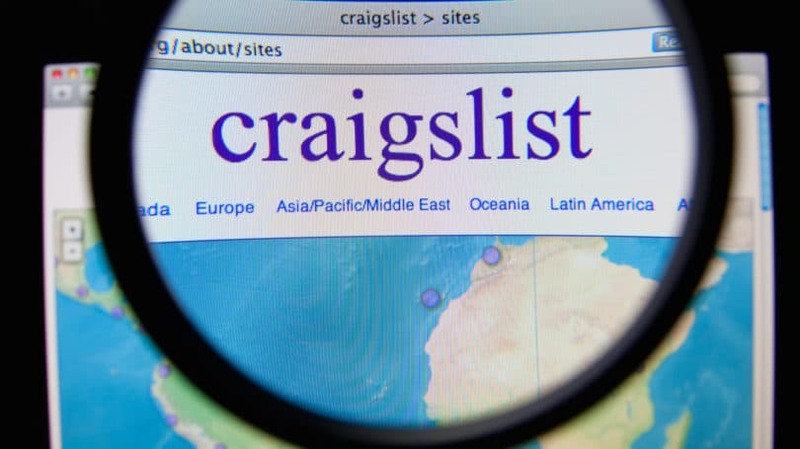 Craigslist users sell everything from clothing and furniture, to bicycles and cars, and often the deals are equivalent to (or better than) what you’d find at a thrift store. In some cases, people may be in a pinch to move out of an apartment or home, and they may offer furniture free of charge to whoever is able to swing by and pick it up. Whenever you meet with someone to make a purchase, make sure you meet in a public place, in the daytime, or if you have to go to someone’s home, always take a friend or family member with you. If you ever shop at a consignment or thrift store, then you know they can be treasure troves of quality, affordable goods and clothing. If you don’t already know of stores in your neighborhood, a quick Internet search can show you what’s available. While chains such as Plato’s Closet, Salvation Army, and Goodwill are great options, don’t be afraid to check out smaller shops run by churches or other charities, or online options including eBay, Swap.com and thredUP, which all offer used clothing at a steep discount. You never know what you might find. How many times have you gone out for a movie and a meal, only to come home $100 poorer, wondering why you went out in the first place? Instead of spending money for traditional entertainment options, try something out of the ordinary – and free. Check out a local park, take a hike, ride a bike, or attend a free art show or exhibition. Sometimes the most memorable forms of entertainment don’t cost a dime. If you’re unsure where to start, check out Facebook, Eventbrite, or your local paper to find events near you. If you ordinarily keep the lights on outside your home at night, look into a motion-activated light instead of one that stays on around the clock. Not only does this save energy, a light flickering on when someone walks past can serve as a great security measure as well. Incandescent flood lights cost around $35 per year when they’re kept on all night, but only around $2 per year when a motion sensor is installed. Prices for motion-activated lights start at around $9 at Home Depot, and you can install them yourself with a little electrical knowledge. When the Powerball runs into the billions of dollars, it’s incredibly tempting to buy a ticket and hope for a windfall. While technically, yes, there is a chance you could win, Bay News 9 reports that your chances are much greater of being struck by lightning or getting hit by an asteroid. Instead of throwing cash away on the lottery, invest what you would have spent into a retirement account that may really pay off one day. If you invest just $20 a month every month over the next 10 years at a 6.5% interest rate, you’ll end up with nearly $10,000 at the end of 20 years, and more than $45,000 at the end of 40 years. If the fear of cancer weren’t enough to get you to quit smoking, then how about what the tobacco is doing to your wallet? A pack of cigarettes costs an average of $5.51 nationally, but can reach as much as $12.85 in New York. 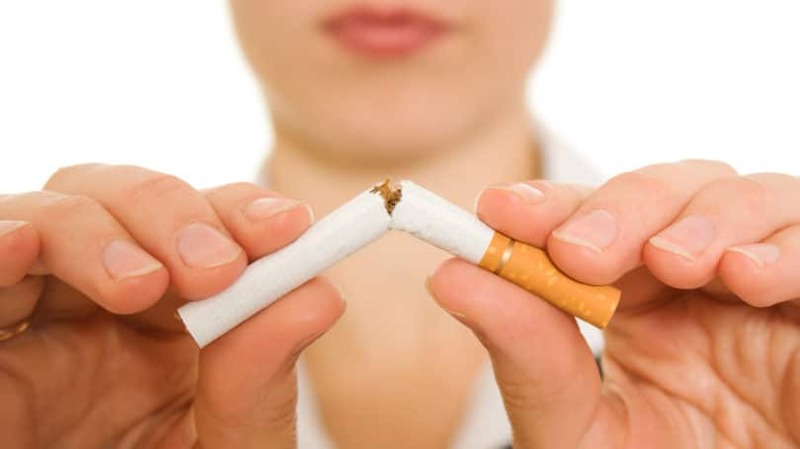 This means a pack-a-day smoker in New York would spend $4,690.25 each year just to sustain a bad habit. Also, remember that no matter how much it’s costing you financially, it’s costing you much more physically. Even if you aren’t very handy, there are many small repairs you can make yourself with just a few tools and a little knowledge. YouTube videos have been a game-changer for people looking to learn the basics, and there are countless books on the market that offer step-by-step instructions for things like fixing a leak, replacing a switch plate, or repairing a door hinge. For holidays, birthdays, and anniversaries, don’t worry about going all out on a lavish electronic item, costly gift card or designer clothing item. Instead, give the gift of quality time with your loved ones. Schedule a special dinner, picnic or day outdoors and spend time laughing and talking. Your gift may be the most memorable and special thing they receive all year. When you’re booking a getaway, look to travel during off-peak months, on off-peak days of the week, and at off-peak times of day. While sometimes you may be constrained by an event you must attend or a work schedule you have to adhere to, do your research to find out how cheaply you can get your ticket. For example, there may be a $100 price difference between a plane ticket with a Saturday night departure and one with a Sunday morning departure. A little flexibility and comparison-shopping on your part can save you hundreds of dollars on travel expenses. Yes, it is possible to be over-insured or purchase polices that simply aren’t effective. For example, many types of pet insurance cover only the basics, so you might still be on the hook for a large surgery bill or expense when disaster strikes. 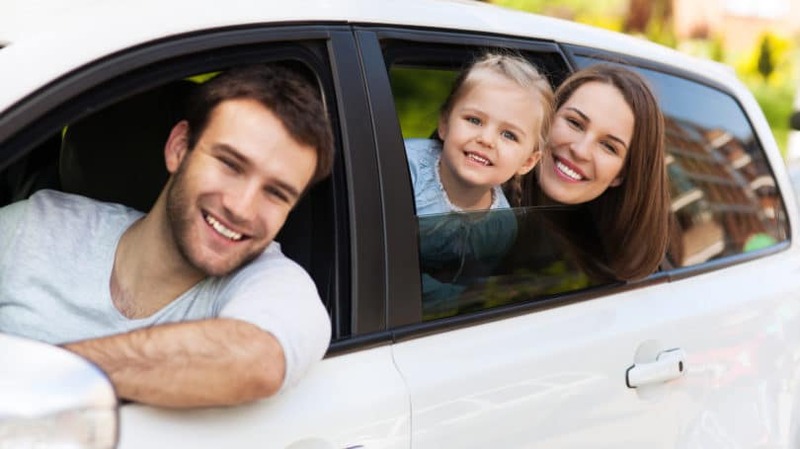 With things like travel insurance and rental car insurance, it may be that your health insurance or your credit card already have you covered in the event of an accident. Before you purchase any type of insurance, make sure you check to see what you’re already covered for, and what the coverage you’re considering really offers. Occasionally you’re bound to throw caution to the wind and splurge on an article of clothing, a dinner out, or a nice summer vacation – but when you do, try to ensure you can still work the expense into the confines of your budget by the end of the month. Most of us have a little leeway built into our month, but without a written budget, it’s hard to remember how much wiggle room you have to splurge. When you can stick to your budget and have a little leftover every month for savings, it’s like you’ve given yourself an instant raise. And if you haven’t set up a budget for yourself, now is the time to do so. Two of my favorite budget apps are Personal Capital and Tiller. Planning in advance and staying organized are two of the best ways to ensure a frugal lifestyle. If you’re able to plan travel in advance, you can save hundreds of dollars off the cost of airline tickets or rental cars. Likewise, if you stay organized and keep track of the groceries you have on hand, you won’t buy excess food that may be left to spoil. Advance planning and organization also come in handy when saving for big annual purchases. If you expect to have money left over for recurring expenses like back-to-school clothing or a car registration, it’s key that you stick to a detailed budget throughout the year. No matter your favorite strategies for spending and saving, making a list before you leave the house is the best way to stay organized – and frugal. Can you suggest any other ways to be frugal and save money?